← 2017 Holiday Gift Stockings are Now Available! Cyber Monday is NOW ON at the eStore! Today is the Cyber Monday sale at Ganz eStore! If you love a good discount on eStore Points then today is the perfect time to take advantage of a rare sale! 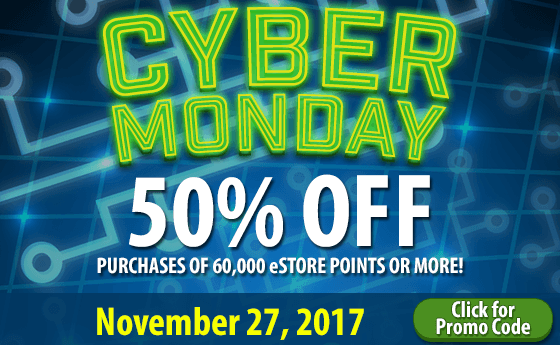 How about 50% savings on 60,000 eStore Points or more with a Promo Code?! One Day Only on November 27, 2017. Click Here for more details. Five Brand New eStore items have been added and are now available. 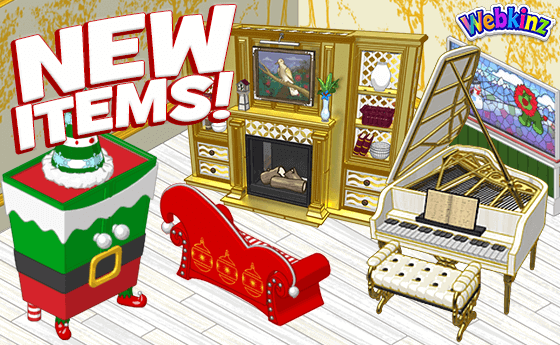 One of these might just be the perfect holiday piece you have been searching for to complete your room design! The perfect holiday pal has arrived at Ganz eStore today! 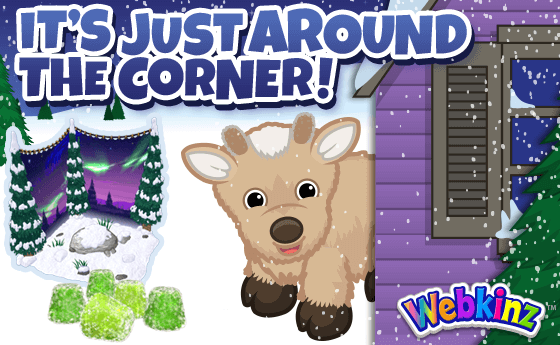 You can make the holiday season so much sweeter by adopting the Reindeer Calf into your Webkinz family of pets! AND… the 2017 Holiday Stockings are now available at Ganz eStore too! You may find these items and more at Ganz eStore! 4 Responses to Cyber Monday is NOW ON at the eStore! I cant use words to search E-Store on FireFox but I can on Chrome . Hope this helps someone. try typing it in on the search bar from a different computer, or try clearing your browser. unless you need parental permission for shopping that may be why it is block. hope one of these ideas work for you.